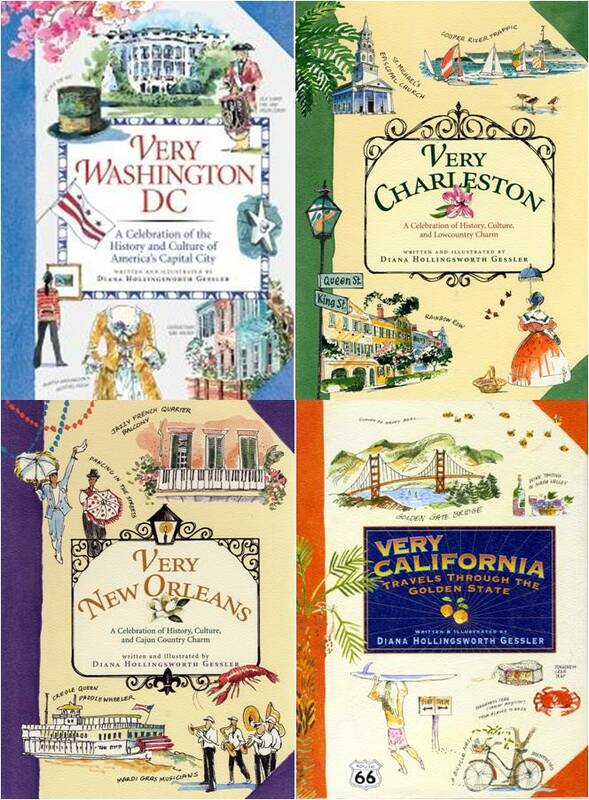 I love Diana Gessler’s watercolor travel books: Very Charleston, Very Washington DC, Very New Orleans and Very California. 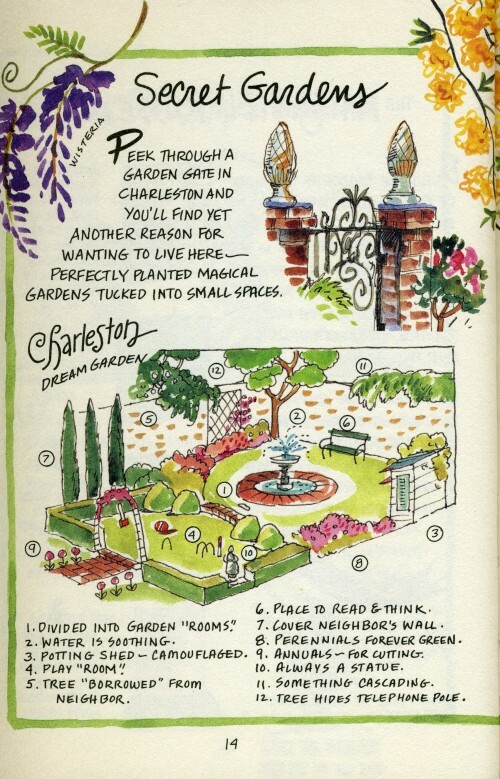 Her writing style is just as delightful as her colorful watercolor illustrations. If you are visiting one of these destinations you will find valuable information to help you plan your trip. Her books include helpful maps, tips, trivia and other details. Diana’s father’s military career took her family all over the world. This instilled in Diana a love of travel from an early age. 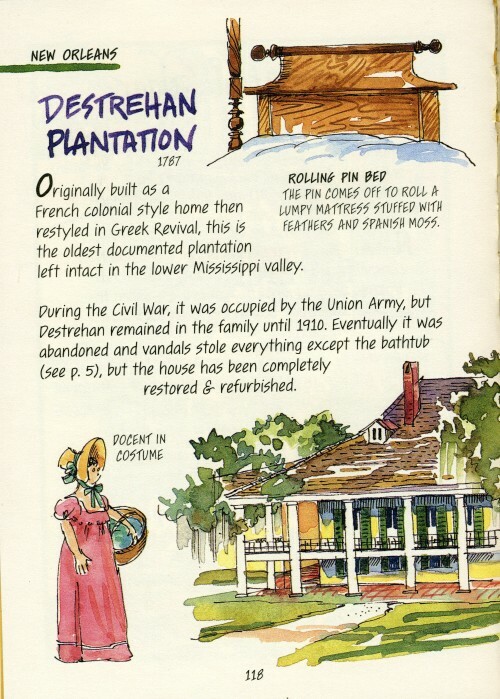 She has been keeping illustrated travel journals for over 30 years. In 1999 she took some of her travel journals to Algonquin Publishers in NYC. The asked her to do a series of travel books with a style similar to her journals. She spent 10 years researching and working on these books immersing herself in each place. Her graphic design background is apparent in the well organized, artistic pages. I have read each book from cover to cover and return sometimes just to look at her colorful watercolor illustrations. They have inspired me to keep my own travel journals. I took a class from Diana and enjoyed every minute of it. It was fun to watch her paint. She uses the Sakura Koi watercolor set for all her travel journals. This may be where I first discovered this great watercolor set. You can watch a video of her painting here. I love these!! So fun for a traveling artist–like you Tammy–thanks for sharing!